A quick google search will turn up lists everywhere touting the "top infinity pools", "the most luxurious pools", the "most exclusive pools", and even the most photogenic pools in the world. At the moment, I'm reading (perhaps the more appropriate phrasing is "ogling") Dream Pools: Enchnating Pools of Italy's Emerald Coast. And as you might imagine, it's making me rethink everything I'm doing with my life and pulling out my copy of Tim Ferriss's 4-Hour Work Week (essential reading, by the way). 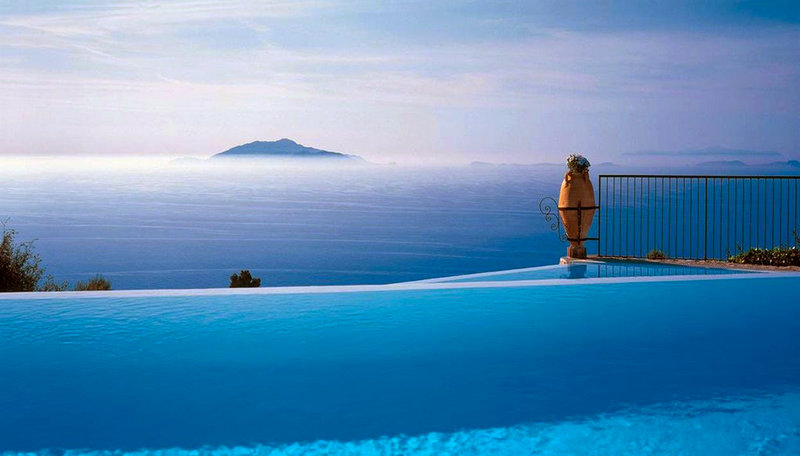 But for today we're just looking at a few stunning images of what I would label as some of the most beautiful hotel pools in the world. Of course, I'm packing my imaginary bag quickly. Won't you join me? What's coming up next week? Book reviews. Three of them as well as a closer look at what I'm crushing on right now. In the meantime, have a great weekend and get out here and LIVE.